One of the most common mistakes that companies make while designing their Social Media Marketing campaigns is that they fail to choose carefully the online channels that suit best their businesses. As a result they end up investing time, money and effort on networks that can’t help them promote their business and this makes them feel that social media marketing simply does not work for them. The truth though is far from this. Understanding which of the channels are more appropriate for your industry, company, products/services and target audience is of utmost importance. 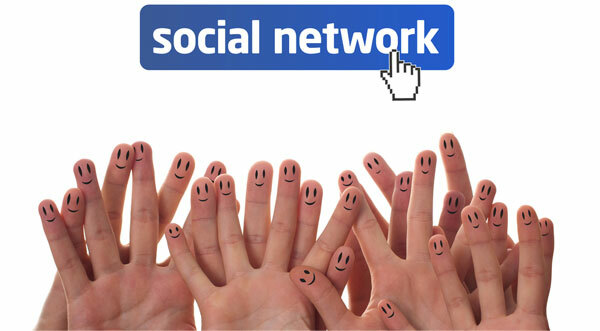 Each social network has different features and characteristics and above all different philosophy. In this article we will present the most popular social networks and we will explain when and how they should be used in order to maximize the results of the campaign. There are hundreds of different social media that you can use in order to reach your users. There are General Purpose vs Niche networks, Local vs Global, Professional vs non-Professional media etc. Each of them has different target audiences, characteristics and should be used to achieve different goals. Facebook: The most popular Friend-Oriented Social Network. A similar network is MySpace but over the years it became less and less popular. Twitter: A powerful microblogging network. LinkedIn: A Professional social network with millions of users globally. Similar services are the Xing which is particularly popular in Germany and the Viadeo which is very popular in France. YouTube: The most well known video-sharing community. Also there are other similar services such as Vimeo, Veoh, Viddler and Metacafe. Foursquare: A location based social networking website. Google+: The brand new Social Networking Service which is introduced the idea of Social Circles. Others: Flickr, Delicious, Digg, Stumbleupon, Quora along with SERPd, Sphinn and other niche networks. Also sometimes people consider as Social Media the Blogs, the Wikis, the Forums and the other similar communities. Below we will present the most important networks, focusing on their philosophy, target audience and unique features and we will explain how and when you should use each channel to create more buzz around your brand. As we all know, Facebook is a Friend-Oriented Network which was founded in 2004. More than 640 million users have created a profile on the service and this makes it the largest Social Media Network in the world. In this network, Companies are not allowed to create Corporate Profiles but instead they are permitted to create Facebook Pages. Facebook is ideal for the promotion of B2C companies and products. Usually fun content goes easily viral while corporate announcements get buried. As a result in order to generate buzz, companies create and share funny and witty ads/images/videos, they organize Online Contests (Video/Photo contests, Voting contests, etc), they develop various useful applications or games and they provide special deals to their fans. As you understand due to its nature and philosophy, Facebook is not very effective for B2B companies and for pushing corporate announcements and press releases. For more information on how to optimize your Facebook Campaigns read the article “Facebook Fan Pages: 7 Dos and 7 Don’ts for effective Community Development”. Twitter is a Micro blogging Social Network that allows users send short messages (up to 140 characters long) about what is happening now. As a result the primary target of the network is to help users share short fresh content and interesting news. Twitter was launched on July 15th of 2006 and since then more than 175 million users have registered on the service. Companies are allowed to create corporate accounts in order to promote their brand and share news. Twitter is ideal for News websites, Blogs, Press Releases and for Opinion Leaders/Experts. As a result the service can be used for promoting both B2C and B2B companies. Usually both fun and serious posts can go viral provided that they are unique and interesting. If you want to learn more on how to design a twitter campaign and increase your followers read the articles “12 Tips for developing a Successful Twitter Campaign” and “20 ways to increase the number of your followers on Twitter”. LinkedIn is a Business-Oriented Social Networking website which allows users to publish their profiles, upload their CVs and connect with other Professionals and Companies. LinkedIn was founded in December 2002 and launched in May 2003. Since then more than 100 million professionals have registered on the service world wide. Both companies and professionals can create a Profile on the service. LinkedIn is great for sharing news, business related articles and press releases, for finding and maintaining Business Contacts and above all for recruiting. It can be used for promoting B2B companies & services and it gives you the opportunity to share news and interesting articles with other professionals of your industry by posting them on the various Professional Groups. As we mentioned above there are several other networks like LinkedIn that are very popular in non-English speaking countries, such as Xing (more than 10 million members, very popular in Germany) and Viadeo (more than 35 million members, very popular in France). As we all know, YouTube is the most popular video sharing community in the world. It was founded in February 2005 and in November 2006 it was bought by Google for 1.65 billion dollars. Google estimates that YouTube’s reach is 500 million users which is around 32.2% of the Internet. Another interesting statistic that can help us understand the power of YouTube is that every minute more than 24 hours of video are uploaded. YouTube allows both users and companies to create channels and upload their videos. Since video marketing is ideal for promoting almost everything, YouTube can be used both by B2B and by B2C companies. It is ideal for creating and sharing Funny/Witty Videos, posting Advertising Messages, Music, Online Contests, News and How-to Videos. Another similar video sharing network is Vimeo which has more than 3 million registered members. You can read more on how to build effective Video Campaigns on the articles “10 Tips for Optimizing your YouTube Videos” and “The 10 commandments of Video Marketing”. Foursquare is a Location-Based Social Network targeting primarily on Mobile Devices. It was launched in 2009 and currently it has more that 8 million registered members. Both users and Local Businesses are allowed to create accounts. It is ideal for promoting B2C local businesses, for increasing brand awareness and for identifying, rewarding and increasing the number of loyal customers. If you want to learn more on how to use Foursquare in order to promote your local business read the article “6 ways to optimize your business with Foursquare”. Google+ is Google’s new Social Networking service which was launched on June 28th, 2011. For quite a long time Google was trying to develop a Social Network that would help them compete directly with Facebook and enter the Social Networking business. This new service integrates the various social services that Google launched over the years (Google Profiles, Google Buzz, +1 button) and it introduces several new features such as the social Circles, Sparks, Hangouts and Huddles. The service is accessible not only via desktop computers but also via Tablets and Mobiles (both Android and iOS). The network allows users to add their contacts into groups, to organize group video chats, to upload video, photos, posts etc and to share interesting content. Even though the access and the registration are limited at the moment, we can expect that on the near future this network might become an additional promotional channel on the hands of Online Marketers. 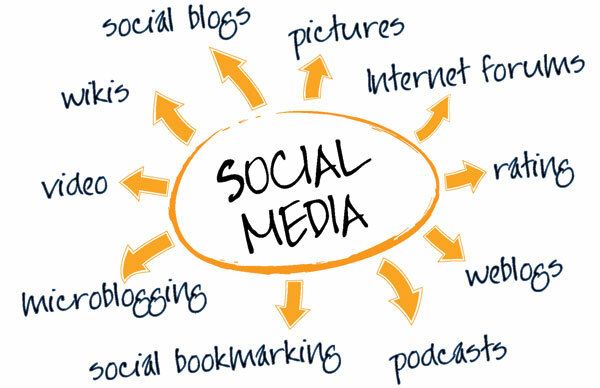 In order to select the social networks that will help you promote your business, you have to understand the philosophy behind each service, the unique features and characteristics that it offers, evaluate the target audience of your company and the one of the network and select the Social Media that can help you achieve your goals. Above all remember that you should experiment by using different approaches and techniques and by trying all the available channels.